Lakeshore Records will release the THE ROVER – Original Motion Picture Soundtrack digitally on October 7th and on CD November 11, 2014. The album features original score by Antony Partos (99 HOMES, ANIMAL KINGDOM) with additional music by Sam Petty (ANIMAL KINGDOM). Antony Partos is one of Australia’s most awarded film composers. His passion lies in creating innovative scores that morph acoustic with an eclectic mix of bespoke elements. His feature film credits include the Sundance Festival winning film, ANIMAL KINGDOM (starring Guy Pearce and Oscar® nominee Jacki Weaver), THE HOME SONG STORIES (starring AFI winner Joan Chen), DISGRACE (starring Oscar® nominee John Malkovich), and ACCIDENTS HAPPEN (starring Oscar® winner Geena Davis). His scores for ANIMAL KINGDOM, UNFINISHED SKY and THE HOME SONG STORIES have all won Best Original Score at Australia’s most coveted AFI awards. Ten years after a collapse of the western economic system, Australia’s mineral resources have drawn the desperate and dangerous to its shores. With society in decline, the rule of law has disintegrated and life is cheap. Eric (Guy Pearce) is a cold and angry drifter who has left everything and everyone behind. 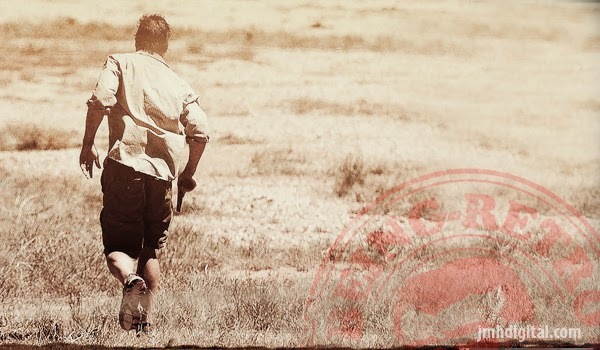 When his car – his last possession – is stolen by a gang of desperate desert hustlers, Eric embarks on a ruthless mission to track them down. Along the way, he is forced into an unlikely relationship with Rey (Robert Pattinson), the naive and injured younger brother of gang member Henry (Scoot McNairy) who has left Rey behind in the bloody aftermath of the gang’s most recent robbery. A24 presents THE ROVER currently available digitally and available on DVD or BluRay on September 23, 2014. 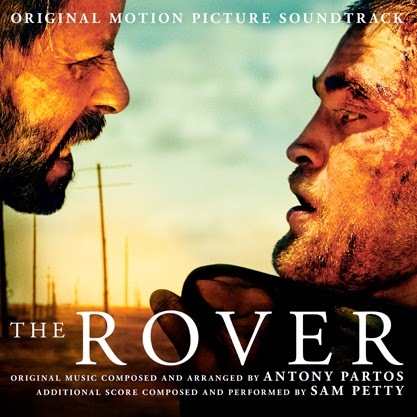 THE ROVER – Original Motion Picture Soundtrack will be available digitally October 7th and on CD November 11, 2014.